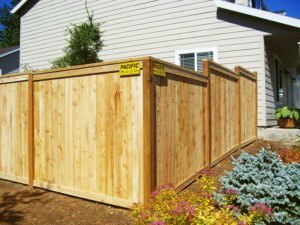 Vinyl Fencing vs Wood Fencing - Pacific Fence & Wire Co.
Building a fence for your home or business not only adds an extra layer of security but it can also add to the aesthetic of the property. Finding the right type of material for your space requires a little bit of research. 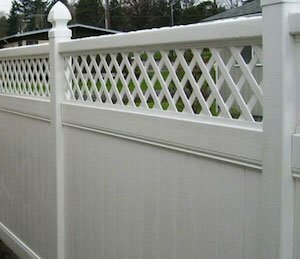 Here, we will share the differences of vinyl and wood fences in order to help you determine which one is right for you. Vinyl is composed of mostly recycled materials. There are several colors and textures available in vinyl to give your fence a unique, customized look. Some of these options include stucco texture at a fraction of the cost of real stucco, or brick and stone wall options, also at a more affordable price than real stone or brick. Vinyl requires little maintenance to keep it looking great and it has a very long product life, with most vinyl having limited lifetime warranties. Installing a vinyl fence is generally more affordable in the long run versus standard wood fences, as they will last a lifetime, and wood fences often will last up to 10 years before needing to be replaced. If you plan on staying in the same home for a long time, the likelihood of multiple wood fence replacements is high, which will drive the lifetime cost of a single, lifetime rated vinyl fence down considerably. There’s nothing more beautiful than a classic wood fence. Wood fences are sustainable and natural, and most of the wood we use for these fences are sourced from local Northwest-area companies. There are several designs available, including the ability to combine wood with iron or welded wire products, which will give your property a modern, more customized look and feel. Wood fences can be stained and re-stained for added protection and distinct style, and the staining can help the fence match with the surrounding building or landscape. These fences are affordable and straightforward when it comes to repairs, but they do require annual maintenance and can weather quickly, especially when moisture hit it continually year in and year out. Ready to start your fence project? Contact our professionals at Pacific Fence and Wire today for options!